As we have begun our new sermon series through the Book of Habakkuk titled “Triumphant Faith”, the first message was preached appropriately on Reformation Day (Oct 31, 2010), the 493 anniversary of the nailing of Martin Luther’s “95 Theses” to the church door at Wittenberg. Just as Luther was used by God to bring about the Reformation through the rediscovery of the great truth of the doctrine of justification by faith alone, so too we see in the Scriptures that God often raises men up to bring about reform and revival to the church and even to whole nations of people. Habakkuk begins by telling us that the message he has to proclaim from the Lord is a burden to him. He has questions and boldly confronts the Lord to ask Him about why He is not doing what the people and the prophets expect Him to do. But there is also a burden because as the Lord promises impending judgment. The Book of Habakkuk was written around 609 BC, just a few years after the death of King Josiah, who had been a great reformer that God used to bring revival and restoration to the Land of Judah. Josiah’s great grandfather Hezekiah had been a faithful King ruling during the ministry of Isaiah. His grandfather Manasseh had rebelled and done great evil in the sight of the Lord before later repenting after he was taken captive for a time by the Assyrians. Josiah’s father Amon was also wicked and was assassignated during the second year of his rule. 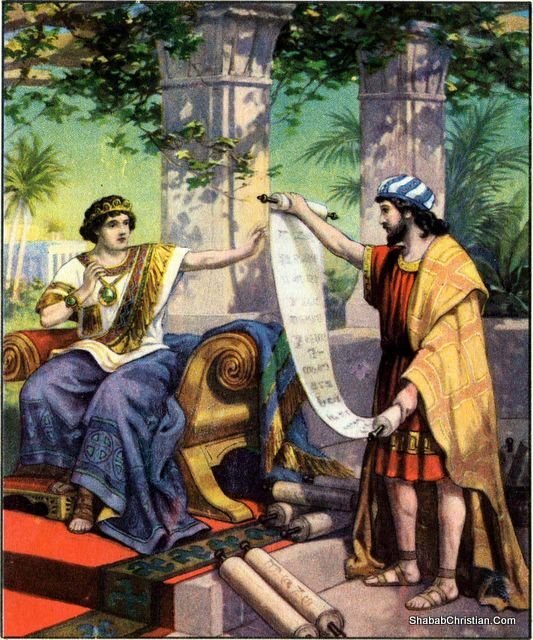 In order to preserve the line of David after Amon’s death, Josiah was proclaimed King even though he was only eight years old. Wise conselors led him to rule the kingdom and to be pleasing to God. By the age of 16 he started work on reforming the worship of God and began a campaign to destroy the worship of idols in the land. During the rebuilding of the Temple which had been neglected for some time, the workers found and brought to Josiah a copy of the Book of the Law. They had found God’s Word. As it was read to Josiah he repented and instructed the people to repent and further reformed the nation in accordance with God’s Word, even reconsecrating himself and the people to keep the covenant in obedience to God. The Passover was reinstituted and was kept as it had not been since the time of Samuel. The Bible tells us that there was never a king like Josiah. But it also tells us that in spite of all his work to reform the people, in spite of revival and obedience to the Word of God, the sins of the people under Manasseh had been so great that the judgments prophesied were still going to come to pass. A nation must repent and deal with its sin before God if they hope to escape judgment, and even then at times, the reformation is too little too late and what a nation has sowed toward sin it will reap in the wrath of God. After Josiah was killed in battle, three of his sons ruled in short lived succession, but before long the judgments prophesied were coming as King Nebuchadnezzar and the Kingdom of Babylon were on their way to conquer Judah and take them into captivity. This impending captivity was the burden of Habakkuk. In this judgment, Daniel and his friends were taken to Babylon, and the nation of Judah was held for 70 years, just as Jeremiah had prophesied. Within this historical context we see that the people of Judah still remembered the reforms of Josiah after they had returned to the land almost 100 years after his rule. There were lamentations that they sang to honor him and what he had done for the Lord (Zech 12:10-11). In fact, almost 200 years after his death when 2 Chronicles was written, there was still a remembrance that honored him and his reform (2 Chron. 35:25). When God raises men up to bring reformation and revival to a people or a land, we must honor them and remember what God has done through them. We remember Wycliffe, Hus, Tyndale, Luther, Zwingli, Knox, and others just as Habakkuk and the nation of Judah remembered Josiah. These men gave their all for the glory of God so that His Word could be read, heard, understood, and obeyed no matter who or what threatened them or tried to stop them. Let us not forget our fathers in the faith and the sacrifices they have made to make sure that we have the Word of God to hear, read, and obey.